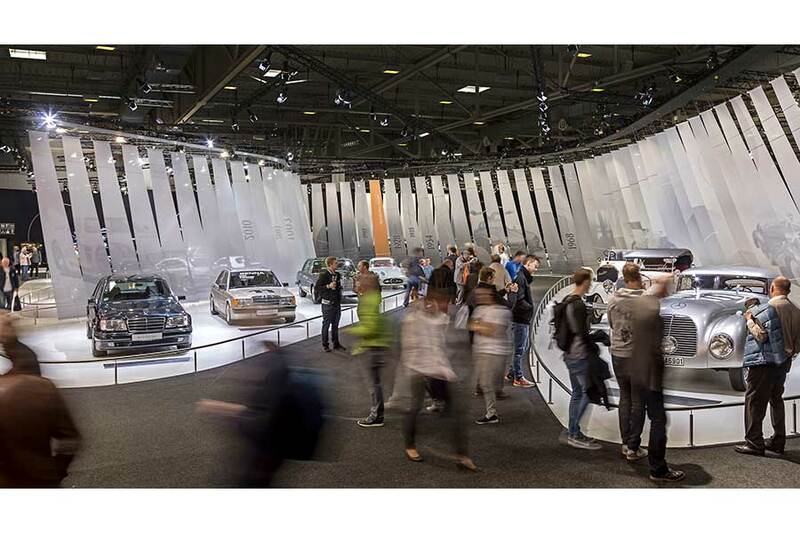 The start of the new season is marked by the presentation by Mercedes-Benz Classic at the two major specialist shows Techno-Classica (21 to 25 March 2018) and Retro Classics (22 to 25 March 2018), with numerous outstanding vehicles on display. It continues with participation in top international events, the first being the Mille Miglia (16 to 19 May, 2018). The diary for the remainder of the year is also well-filled, ensuring many more special moments in the light of the Mercedes star. The automotive classics culture lives on a fascinating history and exciting stories. Mercedes-Benz Classic will be offering both with numerous appearances and events in 2018. The season will start with the major international spring shows in Essen and Stuttgart. This is where the trading arm ALL TIME STARS will be making an appearance with interesting vehicles from the current line-up. Events such as the Mille Miglia (16 to 19. May 2018), Silvretta Classic (5 to 7 July 2018), Goodwood Festival of Speed (12 to 15 July 2018), Classic Days Schloss Dyck (3 to 5 August 2018) and the Pebble Beach Concours d’Elegance (26 August 2018) are further seasonal highlights. At the Techno-Classica show in Essen from 21 to 25 March 2018, the focus will be on motorsport legends under the banner “Record-breakers and Champions” and on the unique history of the Mercedes-Benz G-Class. In Hall 1 at the show in Essen, the brand will present fascinating vehicles from the company` s own collection. In addition, a special sculptural presentation of a 300 SL “Gullwing” (W 198) will demonstrate the replacement parts expertise of the Stuttgart-based brand. Mercedes-Benz Classic, is in good company, with several official Mercedes-Benz brand clubs also presenting themselves in Hall 1. 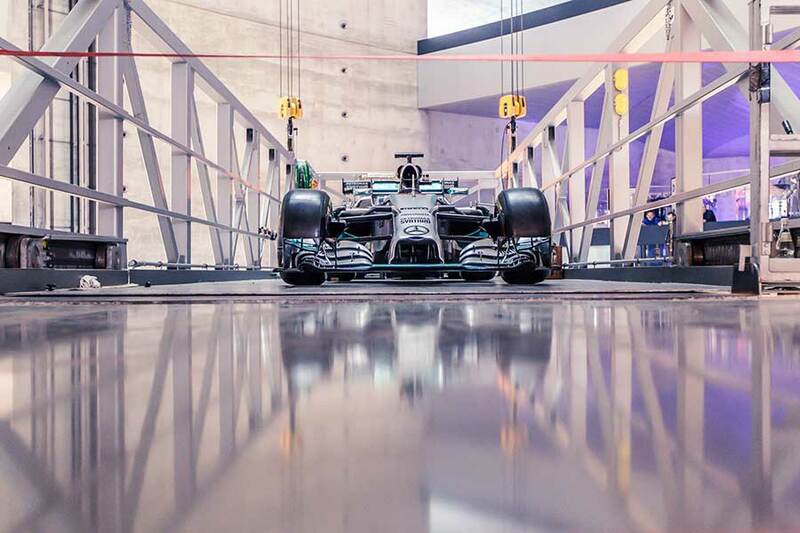 The presentation “Record-breakers and Champions” will commemorate a number of outstanding racing successes in the brand history of Mercedes-Benz which are celebrating anniversaries in 2018. One of them is the 3-litre W 154 formula racing car with which Rudolf Caracciola won the European Grand-Prix championship in the 1938 season. After victories in 1935 and 1937, this was the third time that Caracciola won the European championship for Mercedes-Benz in the completely newly developed Silver Arrow. The McLaren-Mercedes MP4-13 of 1998 stands for the double world championship of Mika Häkkinen (driver ranking) and the West McLaren-Mercedes team (constructor’s world championship). The outstanding record of racing driver Lewis Hamilton, who won his first world championship for the Silver Arrows ten years ago, in the 2008 season, is represented by the MERCEDES AMG PETRONAS F1 W05 Hybrid of 2014: it was in this season that Hamilton became Formula 1 world champion for the second time. In 2015 and 2017 this was followed by two further titles for this consummate driver. The presentation of six 1:4-scale design models rounds off the ”R ecord-breakers and Champions“ display at Techno-Classica. These exquisite models created in the Mercedes-Benz design department represent the five record-breaking Mercedes-Benz cars of the period from 1936 to 1939. They mark the 80th anniversary of the record-breaking run on 28 January 1938, when Rudolf Caracciola achieved a speed of 432.7 km/h – the highest speed ever reached on a public road, and a record that remained unbroken until November 2017, i.e. for almost 80 years. A sixth 1:4-scale model shows how the records of yesteryear inspire the designers of today: this is a futuristic design study of an electrically powered record-breaking car created as part of the joint design project “ Electric High Speed” between the Mercedes-Benz design department and the College of Applied Sciences in Munich. Mercedes-Benz Classic is devoting its presentation on the history of the G-Class to a living legend: the off-roader, which has been in production for almost 40 years, epitomises the successful combination of maximum off-road capabilities with stylish performance and comfort. Three variants of the 460 series stand for the beginnings of the G-Model first presented in 1979. They are accompanied by a model from the 463 series, one from the 461 series of the 1990s and the new G-Class presented in January 2018. The dramatic presentation of these vehicles clearly shows how the G-Class has evolved over four decades, while nonetheless remaining absolutely true to itself. In the outside area at the main entrance, visitors to the 30th Techno-Classica can see the G-Class in action on the “Iron Schöckl”. This 8-metre-high steel construction is named after the torturous off-road test track on the “Schöckl” mountain near Graz. This is where every generation of the G-Class is exhaustively tested during development. On the “Iron Schöckl”, passengers in the G-Class will experience uphill gradients between 80 and 100 percent, and also stops on downhill gradients of up to 100 percent. In Essen, Mercedes-Benz Classic will demonstrate its special expertise in authentic and original parts with the sculptural presentation of a 300 SL “Gullwing” in fire-engine red: what looks like a complete vehicle at first glance is in fact a skilful presentation of numerous body parts. These include the front section, bonnet, wings, boot lid, side sill panels, frame components and wheels. These parts are produced by Mercedes-Benz Classic according to the original documentation and on the basis of three-dimensional scans of historical parts. This ensures that the highest dimensional precision is achieved. The parts can be obtained from any Mercedes-Benz partner. The Techno-Classica programme begins with the Preview Day 2 p.m. to 8 p.m. on 21 March 2018. From 22 to 25 March the show will be open from 9 a.m. to 6 p.m. During the 30th Techno-Classica, the Mercedes-Benz Classic programme will include autograph sessions with brand ambassadors, expert talks on the subjects of “Record-breakers and Champions” and the G-Class, and stories illustrating the brand’s history and the invention of the automobile. This is the third time that ALL TIME STARS has been present at Techno-Classica. With a special feature: all the vehicles presented in Essen have odometer readings below 30,000 kilometres, and are therefore sought-after rarities. The trading arm of Mercedes-Benz Classic will also ensure a very special line-up of stars at the Retro Classics show in Stuttgart from 22 to 25 March 2018. At both shows, particularly fascinating vehicles from the Concours Edition will be on display in addition to a selection of vehicles for sale from various eras and model series. ALL TIME STARS will be displaying a total of seven vehicles at its own Retro Classics stand. There is also a white S-Class 420 SEC Coupé (C 126) dating from 1986 in the atrium of the eastern entrance and a 280 SL (R 107) at the R 107 Club stand. The Concours Edition vehicles in the lamplight are an authentic replica of the Benz Patent Motor Car of 1886, a 280 SL ”Pagoda“ (W 113) and a 300 SL Roadster (W 198). A 230 TE (S 123), a 240 D (W 123), a 450 SLC 5.0 (C 107) and an SL 320 (R 129) can also be viewed. ALL TIME STARS can be found in the new Hall 10 at the Retro Classics show. On the Thursday (22 March 2018) the show is open from 11 a.m. to 7 p.m., and from 9 a.m. to 6 p.m. on the other days. At Techno-Classica, ALL TIME STARS will also be presenting a Benz Patent Motor Car, a horizon blue 280 SL ”Pagoda“ (W 113) dating from 1970 and a 300 SL Roadster (W 198) in a black/beige colour combination as Concours Edition vehicles. Also joining these particularly desirable classics will be a dark red brown 280 SE 3.5 Cabriolet (W 111) dating from 1970. Other vehicles for sale are two 300 SLs (1989, signal red) from the R 107 series and R 129 series (1992, smoke silver), a golden brown 230 C (C 123) from 1980 and a Mercedes-Benz G 500 (W 463) short-wheelbase Station Wagon from 1998.